Escape to the Rocky Mountains for an elevated luxury experience at the sophisticated Allegria Spa at Park Hyatt Beaver Creek, located within the Park Hyatt Beaver Creek. 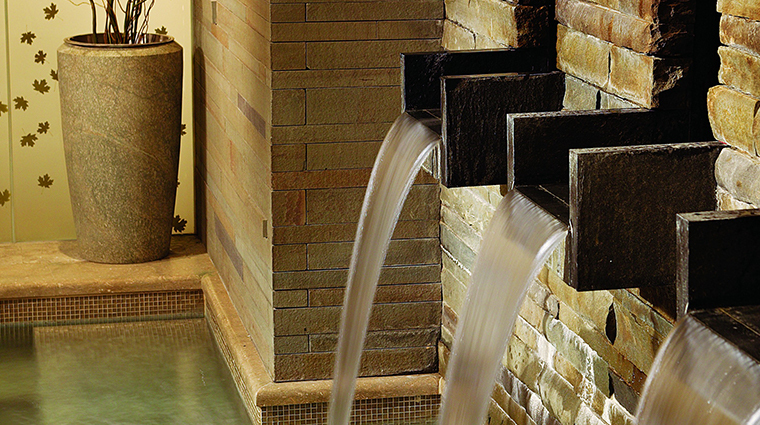 Drawing inspiration from our stunning alpine surroundings, this premier Beaver Creek spa is a tranquil destination that taps into the restorative elements of nature for peak mind and body rejuvenation. Visit this unrivaled mountainside retreat and indulge with first class services and state-of-the-art facilities. 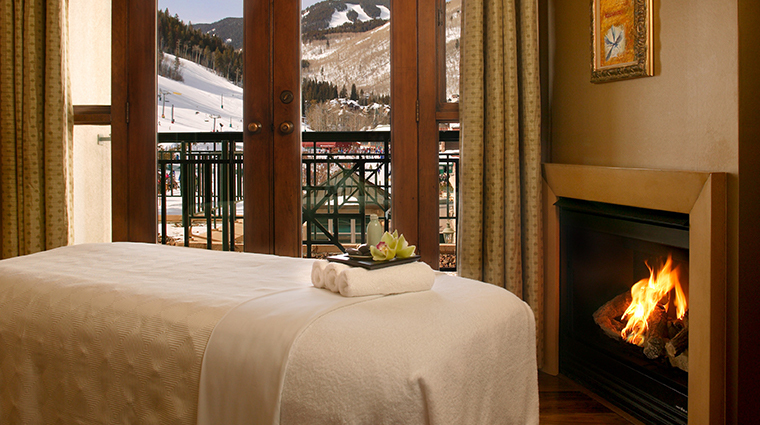 Whether you are visiting for après-ski restoration, to prep for a special occasion, or simply to escape the everyday, this spa in Beaver Creek is a great choice for individuals, couples, and groups seeking an indulgent experience. 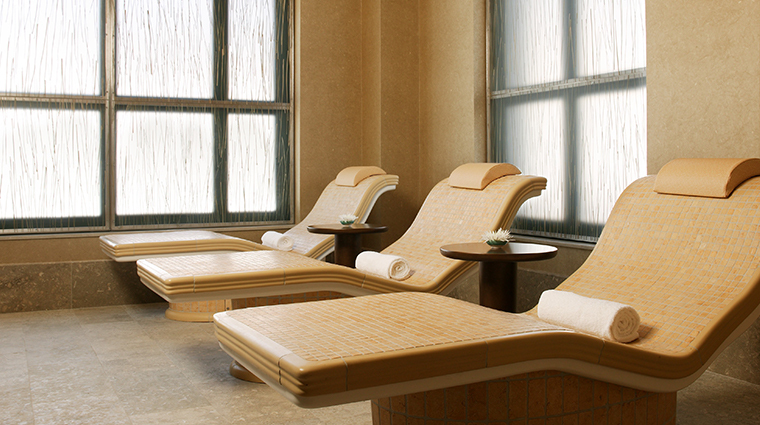 Allegria Spa at the Park Hyatt Beaver Creek was designed to be shared, making it perfect for couples treatments. Included with every spa appointment, is the five-step, self-guided water ritual that includes a relaxing herbal body wash, a warm soak in a pool filled with ancient sea salts to calm your tired muscles and a cooling rainfall shower. 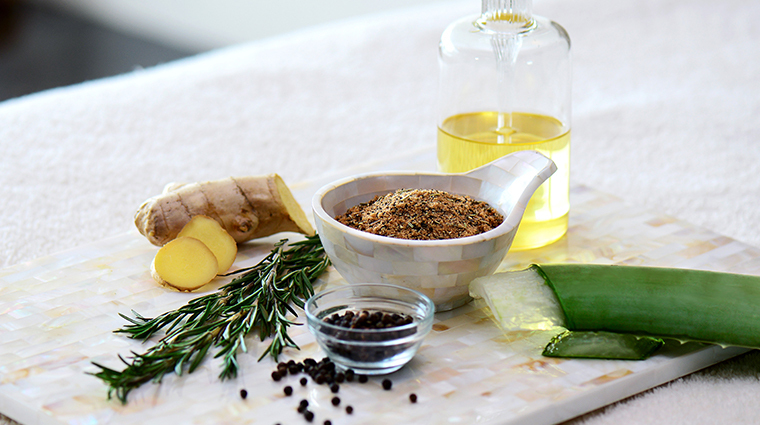 A deeply relaxing, hydrating body wrap is one of the highlights on the menu at Allegria Spa. 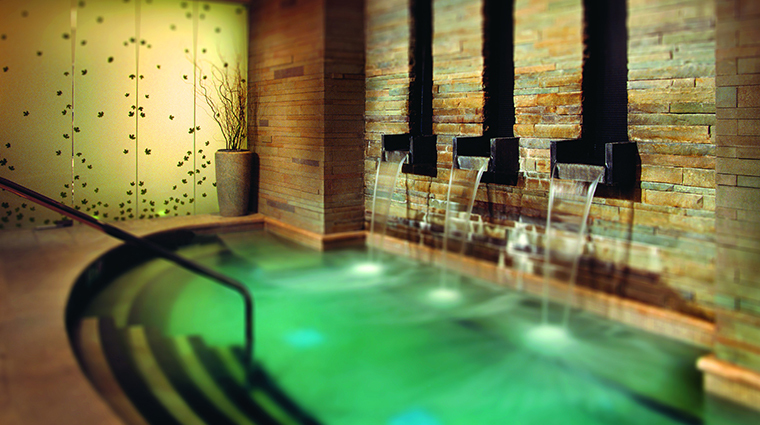 Appointments at Allegria Spa at the Park Hyatt Beaver Creek are offered daily and should be booked by calling the Colorado spa directly. Allegria Spa at the Park Hyatt Beaver Creek asks that you notify staff of a cancellation a minimum of 24 hours before your appointment to avoid being charged for the treatment in full. Guests are encouraged to arrive an hour before their scheduled treatment time to take advantage of the Aqua Sanitas Water Sanctuary. Allegria Spa at the Park Hyatt Beaver Creek offers a full menu of massages with a range of Eastern and Western techniques. You’ll find all the classic massages at the Four-Star spa — Swedish, deep-tissue, sports, pre-natal, hot stone, Ashiatsu, Thai and reflexology. A popular treatment is the Colorado Wild Rose Cure, which begins with a warm lavender compress, followed by a rose oil and wildflower body scrub. Next, you’ll indulge in a calming lavender bath of essential oils and flower petals before you’re treated to a full-body massage and then finally, your body is cocooned in a soothing wrap. The spa offers a variety of packages built for two that include massages and body scrubs, and you can choose add-ons like an herbal wildflower bath for two, a couples steam shower or a rain shower body rinse. 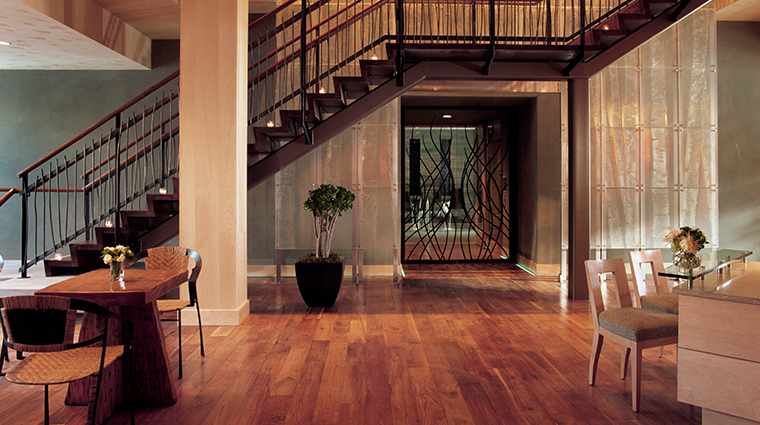 The luxurious amenities at the Forbes Travel Guide Four-Star spa make all the difference. 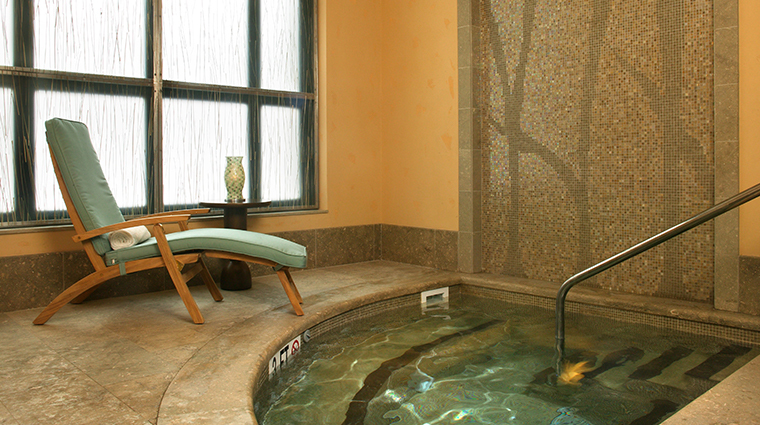 The Aqua Sanitas Water Sanctuary is inspired by ancient customs and modern design and brings the natural hot springs of Colorado indoors. The coed thermal pool is the centerpiece of the spa and part of the Aqua Sanitas Water Sanctuary.